We supply buildings to organisations and contractors throughout Wales. 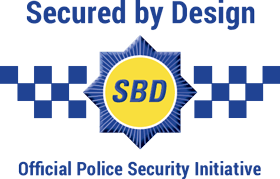 We designs and manufacture high-security sheds with Secured by Design status, as recognised by police nation-wide. They continue to choose us because of our efficient workmanship and steadfast reliability. Over our 28 years of manufacturing timber buildings of all sizes, we have built an excellent reputation. Carmarthenshire County Council. We supply all CCC houses with timber sheds. All L.B.S Builders Merchants in Carmarthenshire and Pembrokeshire. Gwalia Housing Group. We supply all Gwalia houses with timber sheds in Swansea, Neath and Llanelli. Bro Myrddin Housing Association. 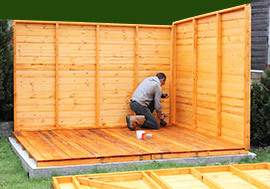 We supply all tenants with timber sheds. Tycroes Group. We provide all their new developments with sheds for each plot. When you buy a shed from us, you are getting the best, and nothing else.